Embossing is the process of using a standard or custom die to create a raised image or design on the label stock. Call us for pricing. Embossing enhances products or communication with a raised look of elegance. Choose from dull or bright gold/silver; add a tint to create custom metallic color (bronze/copper/red/blue, etc.) and emboss or blind emboss (no printing). Embossing adds class to beverage labels, cosmetics, jewelry tags, awards, diplomas, and so much more. This specialized process uses a properly applied wet lamination process on a metallic paper or foil to produce a custom design. It adorns your finished piece with an added touch of eye-catching indulgence. Textured spot foil is also a great accent finish that augments products. 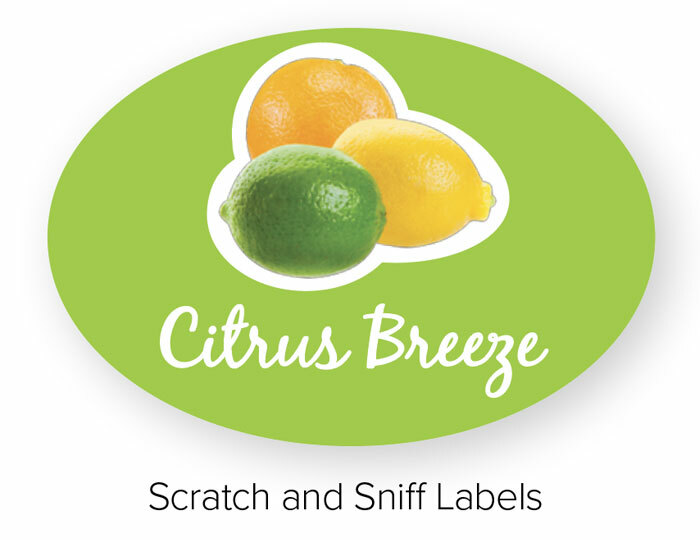 Add one of the five senses to your label creating and ordering—SCENT. Choose a single fragrance or combine two or more to create a signature blend. Smells trigger reactions, emotions and memories. That’s why the aroma of scented marketing is popular and successful. 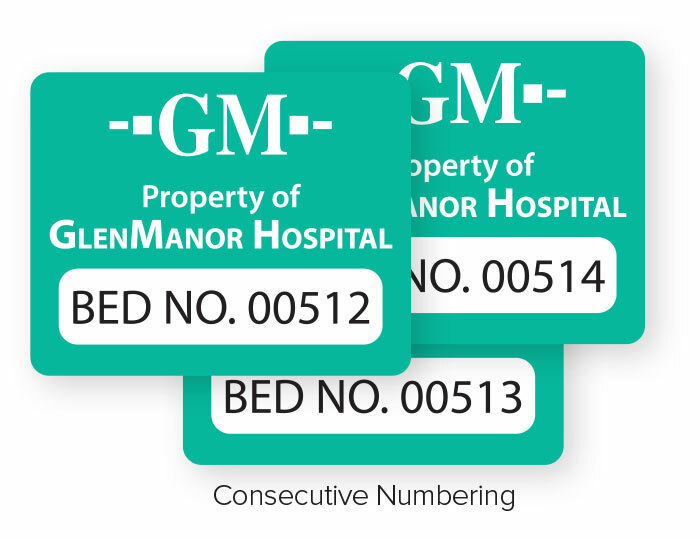 If you require consecutive numbering or variable data on your labels, look no further. We can assist you in deciding on what will work best for the outcome you are trying to achieve and file set up so you end up with a smooth run. 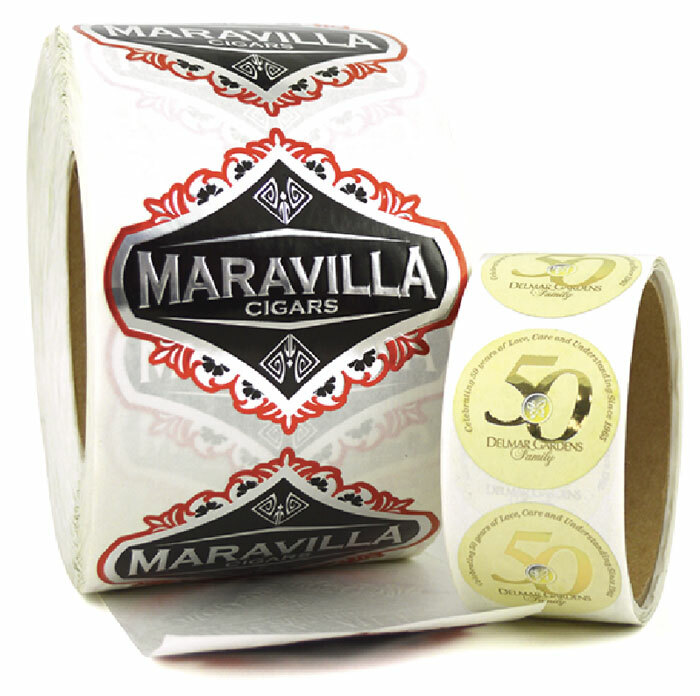 Labels can be delivered your way on rolls, sheets, or fan-folded. Let us know what version works best for your usage. How do you want them to arrive? Products can be packaged in cartons, clam shells (for retail), shrink-wrapped, or zip-lock bags. More information on label finishing options here. If you need a standard or custom envelope enclosure for your label or product, we can provide a great deal of expertise and innovation. 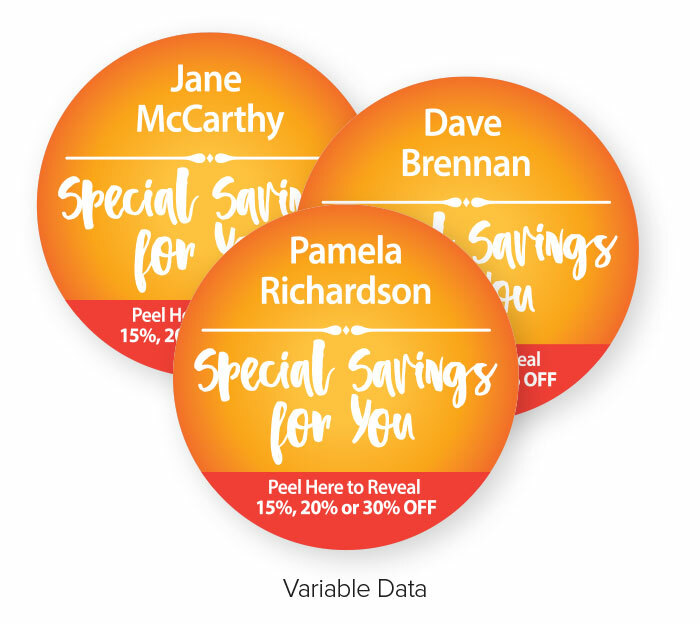 Magnets are a great way to convey messages or brand value quickly with lasting exposure. Available from 1 to 4 colors, a variety of shapes and sizes, and indoor or outdoor use. Our offerings include business card magnets, calendar magnets, picture frame magnets, schedule magnets, save the date magnets or you can contact us with your idea and we will create it for you! Thanks to progressive equipment capabilities, no label quantity is too small. Our offerings eliminate the need for dies or hard tooling with a no-plate technology that reproduces custom shapes and unique die-cuts easily, quickly and accurately. It's economical for the smallest runs, and ideal for multiple copies and customizing labels with text, barcodes, colors or personalized information. Many retail products, inventory and assets now require barcoding. Let us help you pick the right code for what you are trying to achieve. For more info, you can find our linear barcode symbologies comparison chart that will highlight the particular applications for each type of code here. Universal product codes - UPCs - are the 12-digit numbers that appear under the barcodes on many U.S. products. They are given out by GS1 US, a nonprofit group that sets standards for international commerce. Here’s how it works: Businesses pay to join GS1 US, and in exchange, it assigns each member its own identification number that appears as the first part of its UPC. Companies usually need different UPC codes for each product they sell, even if it is just a different size. So companies will add more numbers to their GS1-issued identification code to identify each of their products. 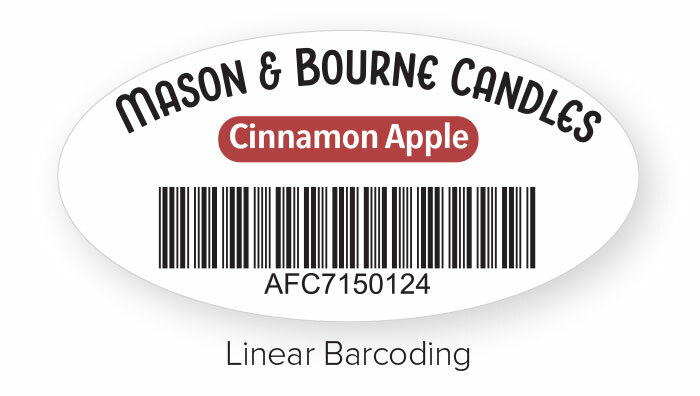 Each UPC can be used to produce a specific barcode that can then be printed out and attached to products or, ideally, incorporated into the product design so that it is easily scanned at the register. GS1 US charges capacity-based membership fees that begin at 250, plus annual renewal fees starting at 50. The fees depend on the number of unique products you sell. A membership form can be filled out online on GS1′s website, www.gs1us.org. Another option: Some internet-based companies, including BuyABarCode.com, now resell UPC codes for less than 100, so small companies don’t have to pay to join GS1 themselves. You will be paying for the use of that company’s identification number - not your own. That means your products’ UPC will begin with another company’s ID number. It can be a fine solution if you are cash-strapped or working with small or independent retailers - if the retailers don’t mind - and just selling one or two products. But it won’t work if you’re planning to sell through major retailers because they generally require product makers to have their own identification numbers.